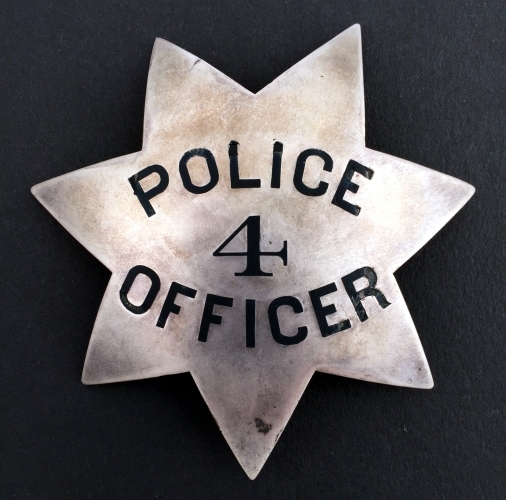 Oakland Police 1st issue badge #4 issued to Officer Adelbert Wilson, circa 1870. 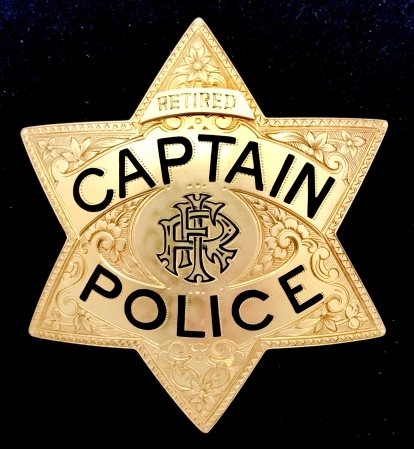 His 14k gold Captain badge is shown below. 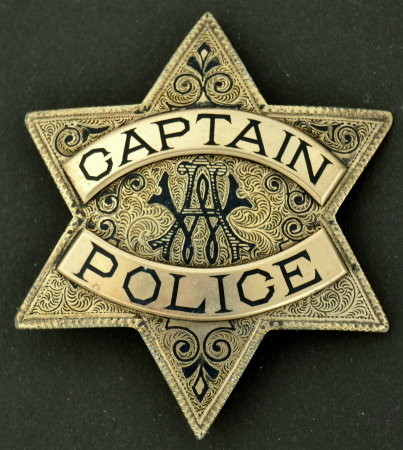 Captain Police A. W., Adelbert Wilson, 14k gold badge. 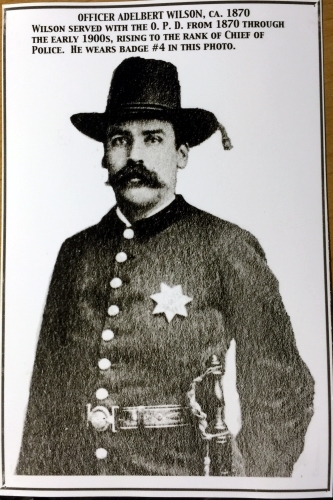 On May 30, 1870 Adelbert Wilson joined the Oakland PD. 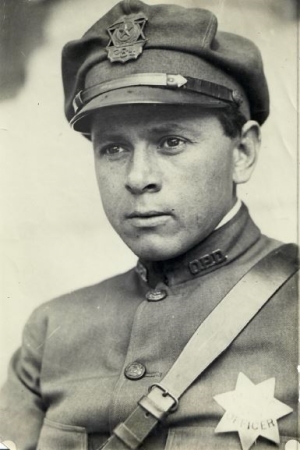 On May 7, 1889, he was made captain, and for over sixteen years held that important position, being on December 20, 1905, appointed chief of police. Although different political administrations came and went, Mr. Wilson was retained as chief, which title was changed to that of superintendent of police, but under the new charter was again changed to chief. There is great credit due him for what he has achieved, for he rose from the ranks and by the faithful and fearless performance of duty and because of his natural ability became the head of the department. 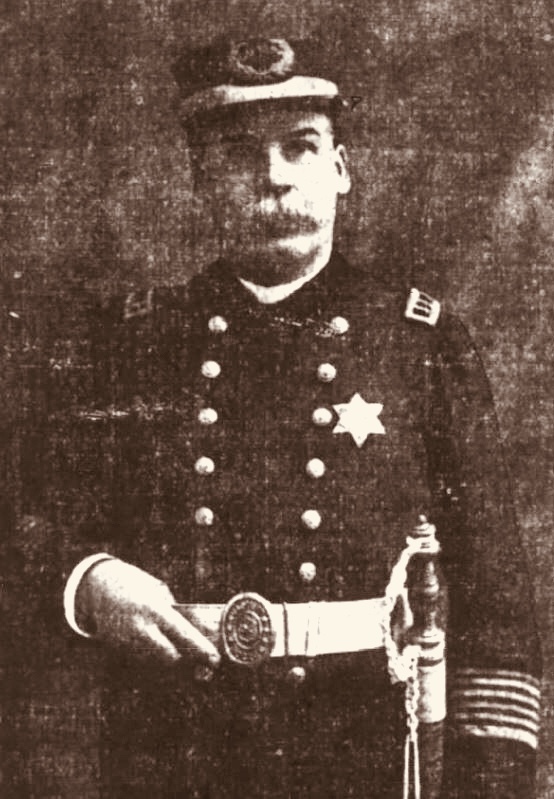 Officer Adelbert Wilson, circa 1870. Wilson served with the O.P.D. from 1870 through the early 1900’s, rising to the rank of Chief of Police. He wears badge #4 in this photo. 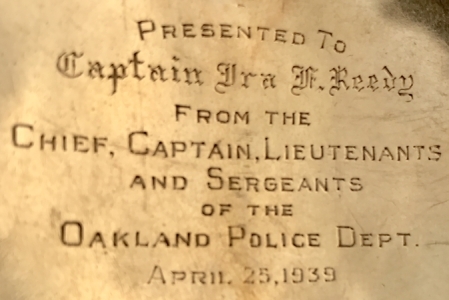 14k gold Oakland Police Captain badge presented to Ira Reedy April 25, 1939. Reedy was appointed to the force on Feb.14,1921 and retired Dec. 1, 1945.